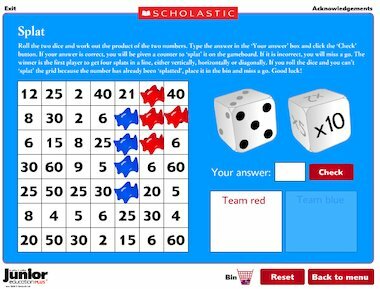 Use these two interactive maths games to improve children’s times-tables skills. For best results, download this game to your PC. Splat didn’t work as everytime I clicked on Check, nothing happened. Tried several times, reseting, exiting programme etc.